Rex: "I hope you have a better class of soldier than those 'Stormtroopers'..."
Kallus: "They serve the Empire Well... And I have a Great Many of them..."
That's what i'm saying though. The new canon is beginning to portray them that way and i'm staunchly against that. However the statement could easily be translated as Kallus having a disregard for his men's lives. No fighting force in history has ever successfully conquered and maintained a massive Empire with vast armies of basically civilians in armor with guns and next to no training. What many empires did was have a core of highly trained or experienced troops supplemented by inferior troops that would either be used as cannon fodder or to bulk up numbers. Colonial Empires supplemented their armies with local conscripts and recruits that would help enforce colonial rule over distant territories. Why would the Galactic Empire be any different? At this point in the new canon Stormtroopers might as well be battle droids but with the large downside you have to feed them, appease their needs and desires in order to keep order amongst the ranks, and replace them as they age out. Having to supply an organic army of poorly trained troops is incredibly stupid. If you're going organic then you train your troops well. I just got finished reading the Thrawn Trilogy and in that Zahn gave I think the best portrayal of the Imperial Forces in any SW book or spinoff. Stormtroopers were highly trained and indoctrinated troops that supplemented the regular army troopers. The regular army acted in the way stormtroopers are now. Cannon fodder that are unarmored conscripts largely that garrison Imperial held worlds and maintained order. The stormtroopers are more specialized and while not commandos were more of a threat. More so then anything it makes the Empire exactly the same as the orc armies from Lord of the Rings and every other franchise from LOTR to Marvel to GI Joe where the bad guys basically rely on high numbers to overwhelm the hyper specialized or experienced heroes. It's not unique and not story telling I enjoy. I don't mean to derail the thread from the show but Rebels is guilty of making the Imperials insanely idiotic and i'm just not a fan. I like the show a bunch don't get me wrong but its one of its many problems. By and large the majority of media from both old and new canon does not support stormtroopers being an elite fighting force. Books, games, and the movies show them as little more than canon fodder, but have the advantage of numbers. There are far more examples of stormtroopers being disposable military units with cool armor and toys rather than them being the elite fighting forces a few books make them out to be. Does Rebels make stormtroopers a bit too useless? Yes. But they're far more effective than battle droids. They actively try to avoid danger, you see them actually use their heads (from time to time), and they've even pulled off some awesome stunts (the one trooper leaping into the tank and fighting off Kanan when the Ghost crew tried to escape with the Rodian, or the scout trooper on Ryloth that did the cool reverse maneuver into the Ghost). Also, you're trying to apply real world logic to Star Wars. That never works. Star Wars works by its own logic. Fair enough. I just think the elite fighting force angle works far better and is more true to ANH and ESB. RotJ basically ruined stormtroopers with the ewoks. For me im not expecting SW Saving Private Ryan or the stormtroopers to be as elite as an SS battalion. However the way Rebels handles them is awful. Thats partly because only our protagnists ever face them, we need rebel infantry. Right now Rebels is like a Marvel movie and I think it should be closer to the Patriot. The Patriot is a mess historically but thematically does an excellent job making the British Army seem powerful and not a total push over. Yes redcoats fall like flies but, theyre tough opponents, and many Americans fall as well. Stormtroopers are the same way in ANH and ESB. I'll make a stand against Ewok hate. The Ewoks fought back like any human population would in our own aliens-invade-earth stories. The Ewoks prepared to fight; those traps didn't appear over night. The Ewoks started losing after the Imperial garrison got its head on straight. I still think it'd be stupid to introduce another OP fighter after just one episode of TIE Interceptor. 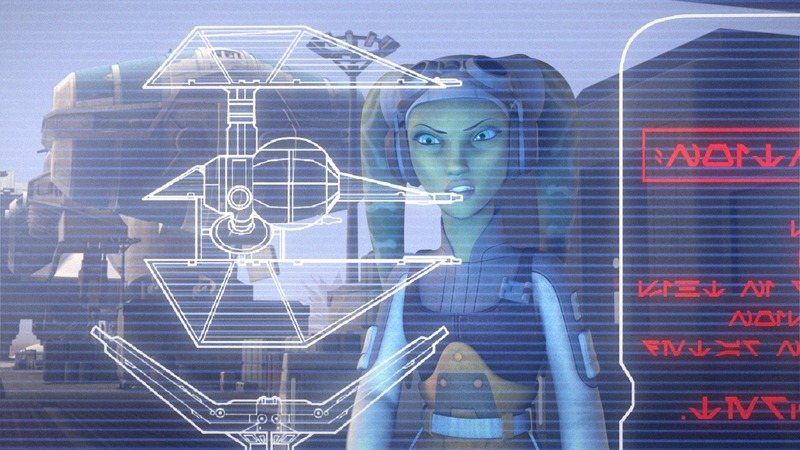 Showing the blueprints doesn't mean it will be introduced in Rebels, or at least not yet. There is no need (Interceptor), we know the factory is getting bombed and we've seen some background/hologram images and clues back in season 1 that haven't been resolved yet (BΔ0). Was this even in the episode? I remember it just being a regular Sentinel. Why is the paint job so sh*tty when he JUST painted the thing? I understand paint jobs looking faded and worn on some old rust bucket that somebody has had for years. But he just got that ship a couple months ago! And painted it AFTER that! Why does the paint look like it's 50 years old?! The same reason people buy designer jeans that have holes ripped them. I can't believe this is actually a question. 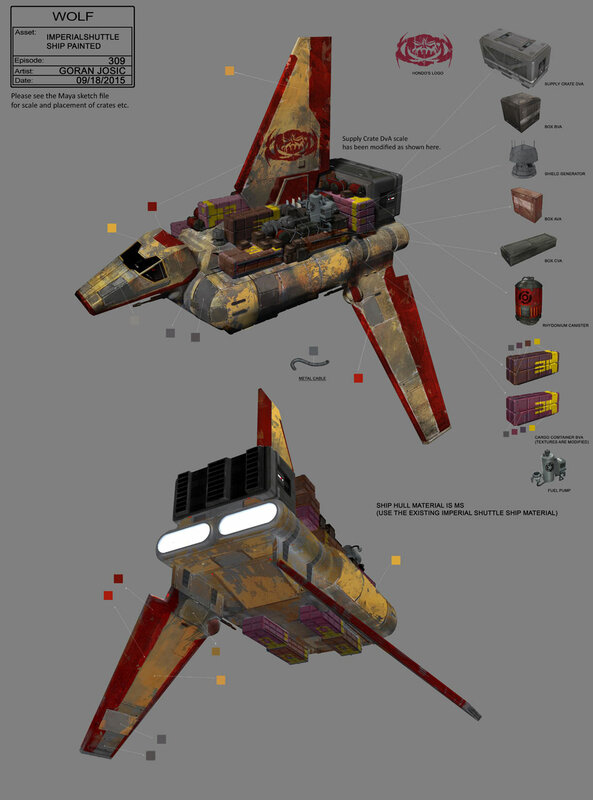 So Hondo painted his ship internationally badly to look cool just like shabby style trends on Earth? I find that hard to believe and I think it goes against Hondo's established attitude. I think it is a very good question. I would guess he painted it good, but has had several near death adventures since. I just want a major character to die f**king horribly. Let Sabine get caught with a stray blaster shot, have a tearjerking goodbye, and let he be shot 20odd times by BASIC STORMTROOPER MOOKS! Better yet, let her do a Kat*! I want it shown that in a war good people f**king die. It's not all glib comments and fun. It's s**t happening, and s**t gets real. It can be done well in a kids show. Yikes, you're out for blood aren't you? Well don't hold your breath, it's unlikely you're going to see any "horrible" deaths of main characters on this show. Not even the Imperials or other villains of the show suffer what could be considered "horrible" deaths. You know... none of the main heroes of the original trilogy died (in the OT) and I don't see anyone calling for Leia or Chewbacca's blood. And the dangers they went up against were no less serious or dangerous than what the crew of the Ghost goes up against. I don't know why anyone would want to see likeable characters of a show die. Maybe it's the Game of Thrones syndrome or something. Also to note, they aren't really fighting a war per say. All that they've done throughout the series is go on team missions, even after joining the larger Rebellion. There aren't war battles in Rebels like there were in Clone Wars because that's not what the show is about, and the Rebellion isn't ready for a war yet. They've made small strikes here and there. The closest thing to real battles in Rebels has always had the Rebels trying to escape the Empire (or run a small blockade in that one episode of season 2). I actually agree. Someone who we care about should die. I also agree that the Ghost crew haven't faced more harrowing challenges than the original trilogy heroes, but they have done it more(timewise and screentime wise) One of my major issues with Disney's rewrite of the EU was not having Chewie die. Main characters should die. Otherwise, the story loses credibility. If our group of heroes fights the bad guys for years and years and no one gets hurt, it weakens their struggle. Maybe the Empire isn't really that scary after all. Sentinel in the episdoe indeed looked like the one in the concept art. I understand why you might have overlooked that little detail, we all want to froget TFA, but while they didn't kill off Chewie, another, more important character died in that movie. Perhaps the yellow paint was cheap, perhaps right after painting he parked on a planet with regular sand storms, perhaps the rough paint job was supposed to work as camoflague and the red was added later, perhaps the ugnaught that painted it was drunk? We don't even know how much time has passed since the first episode. Yeah, I know. I've almost come to terms with it. That speeder trooper made up for so much fail in such a short period of time. Intelligent things can be very dangerous if they put their minds to it. If the Ewoks had just been 1,523 wolves that rushed the Stormtroopers at the gate the troopers would have been hard pressed to kill them all, armor or no. Just saying, I love the Stormtroopers to pieces, but when you and your buddy find yourselves deep in the forest surrounded by 11 rock-wielding pygmies that don't run from your blaster bolts and your armor doesn't save you from the 7th rock; it's not the pygmies that goofed, you done goofed hard. Funny thing about armor versus rocks. I have a little experience with body armor. The plates I had were supposed to withstand a rifle round once, maybe twice, but we were warned to not drop them or the ceramic might crack. I imagine the Stormtrooper's armor was similarly not designed to withstand low velocity impact. I'd be willing to bet that the storm trooper armor was expected to withstand a shot or two from a blaster pistol or low power carbine, not much else. It's probably designed to protect against blasters and vibroweapons much as medieval armour protected against arrows and swords. I would not like a frog rendition of TFA. Some of us actually enjoyed that movie. Can someone more tech savy than me post the preview for Inside Man? Thrawn kills a guy. There better be a good reason The Grand Admiral is personally handling a little worker trouble. The Grand Admiral is likely there to personally oversee some of Sienar's newest developments, but then this comes up. It will all be part of his plan. He probably knows Ezra is in the crowd there. Not hard to know, he has to meet a weekly quota of running into the Ghost Crew. He finds it strange. But it's all part of his plan!